Alice Walker, author of the National Book Award and Pulitzer Prize-winning The Color Purple--"an American novel of permanent importance" (San Francisco Chronicle)--crafts a bilingual collection that is both playfully imaginative and intensely moving. Presented in both English and Spanish, Alice Walker shares a timely collection of nearly seventy works of passionate and powerful poetry that bears witness to our troubled times, while also chronicling a life well-lived. From poems of painful self-inquiry, to celebrating the simple beauty of baking frittatas, Walker offers us a window into her magical, at times difficult, and liberating world of activism, love, hope and, above all, gratitude. 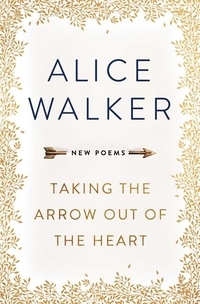 Whether she's urging us to preserve an urban paradise or behold the delicate necessity of beauty to the spirit, Walker encourages us to honor the divine that lives inside all of us and brings her legendary free verse to the page once again, demonstrating that she remains a revolutionary poet and an inspiration to generations of fans.